The Michigan Craft Distillers Association (#MiSpirits) has just published 20,000 copies of its 2016-2017 map and directory, featuring 24 member craft distillers (with 37 tasting room locations) and four “in planning” distillery members, along with 45 allied members and service providers. The expanded four-panel, four-color piece will be distributed at member distilleries, state tourism offices, welcome centers, retail outlets and other locations around Michigan. A PDF version of the map is also available online at MiCraftSpirits.com. As with any craft or “local” product, educating the consumer is vital. With the growth of the industry comes operations that produce spirits on various levels. The association has established its own definition of a “craft” vs. a “merchant” distiller to help identify operations that actually distill spirits in Michigan. CRAFT DISTILLER: a distilling organization or brand that produces a distilled product at a facility in Michigan. The Michigan distillery must hold Federal Distilled Spirits Plant (DSP) and Michigan Small Distillers Licenses. And at least 51% of the products produced are fermented and distilled on the licensed premises. MERCHANT DISTILLER: holds Federal Distilled Spirits Plant (DSP) and Michigan Small Distillers Licenses and acts as an independent rectifier, blender or bottler on the licensed premises. “Merchant” producers purchase their spirits from a larger distillery, often in bulk quantities, and sell it under their own label. And what about the labels on the spirit bottles? How can you tell if the products were actually made in Michigan? While there a variety of descriptions that can be printed on a label, including, “bottled in,” “distilled in,” “manufactured in,” “produced in,” “aged in” or any combination of those terms, if it reads anything other than “distilled” — at least in whiskey — it wasn’t made by the company. The Michigan Craft Distillers Association was formed in 2014 to organize the growing number of small-batch spirit producers in the state, serving as a united voice on legislative, promotional and business issues. There’s a holiday for just about everything…this is especially true for foods and beverages. This year, the 8th Annual World Gin Day is set for Saturday, June 11. A time for Gin novices and connoisseurs alike to celebrate all things gin. Gin is a spirit which derives its predominant flavor from juniper berries, dark bluish-colored berries full of fragrant pine-scented oils which are known to grow wild in Michigan. Its earliest notations are as an herbal medicine as it was noted to improve digestion as well as aide as an antioxidant, antifungal and antimicrobial. Yet, savoring it in a cocktail is much more enjoyable, don’t you think? In Michigan, nearly two dozen different gins are produced from almost as many craft distilleries. To find out which ones are making gin, visit our list of member distilleries below and then share your favorite gin cocktail recipes on our MiSpirits Facebook Page. For a list of our entire membership, click “Craft Distillers” on the right hand column. We’re excited to join Hospice of Michigan for Barley, BBQ & Beats – a delicious and exciting night featuring an array of West Michigan’s best BBQ, spirits and live music! You don’t want to miss this unique opportunity to sample West Michigan’s finest BBQ and spirits. Come be tantalized by the intoxicating aroma of smoked meats and sample the best BBQ and fixins’ from leading pit masters and BBQ restaurants. Enjoy hand-crafted cocktail tastings featuring whiskeys distilled right here in Michigan, including American Fifth Spirits, Bier Distillery, Detroit City Distillery, Grand Traverse Distillery, Long Road Distillers, New Holland Artisan Spirits, Red Cedar Spirits, Two James Spirits and Journeyman Distillery. And rock out to the beat of popular local bands Domestic Problems, Mid-Life Crisis and Big Dudee Roo. All proceeds support Hospice of Michigan’s Open Access program – our commitment to serving everyone in our communities who needs and seeks our care, wherever they call home. Six Michigan distilleries were honored with 16 individual awards April 5, 2016 at the American Distilling Institute’s 10th Annual Spirits Competition, held as part of its annual conference in San Diego, California. Competition organizers reported 645 spirits were entered and a panel of 28 judges awarded 282 medals in a variety of categories. The Michigan Craft Distillers Association was formed in 2014 as a non-profit organization charged with marketing the individual member businesses, their products and events, but also help bring a voice for the industry when it comes to legislative issues that affect the overall beverage industry. Please join me – along with Dave Engbers from Founders Brewing Company and Fred Bueltmann from New Holland Brewing Company – for the 2016 CRAFT BEVERAGE EXPO, May 18-20 in Oakland, California. WHO should attend? Wineries, breweries, distilleries, cideries, meaderies and businesses that provide goods and services to those craft beverage producers! What about those THINKING about starting a craft beverage business (or those just starting the process? YES…there are plenty of opportunities to get detailed information about how to get started in this industry! WHAT kind of sessions will be offered? Dozens of breakouts focused on everything from production to distribution to financing to marketing (and so much more). Is there a “Trade Show”? YES…dozens of suppliers will be on hand to share information about their goods and services. Vendor space is still available as well. Anyone from MICHIGAN who registers can save $25 per person by entering the promo code MICH.
Information about the host hotel, the Oakland Marriott City Center, can be found here. I’m excited to be attending this event to share the Pure Michigan story about our thriving craft beverage industry. Be sure to join me in my session, “Community Collaborations: How Craft Beverage Producers Benefit from Partnering with Local, State and National Organizations,” on Thursday, May 19 from 9:30-10:45am. The Craft Beverage Education Association will bring its one-day educational workshop for in-planners to the Grand Rapids Doubletree Airport on February 12. The workshop is geared toward helping new craft beverage businesses navigate the complexities of startup. Registration is currently open—early-bird rate of $119 ends January 22. CBEA is planning similar workshops for cities across the country. This educational workshop is a must-attend for anyone considering – or in the early stages of establishing – their own craft beverage business. The full-day, hands-on discussions focus on beer, wine, spirits, cider and mead producers. “We will walk you through how to make the ‘big decision’ to move forward with your plans, the legal considerations, marketing and distribution issues and preparation for future growth,” says Tracy Wahler, Executive Director of the Craft Beverage Education Association. Speakers include representatives from the Michigan Liquor Control Commission, distributors and producers who have recently begun operations in Michigan, as well as those focused on legal and insurance issues. Participants will be given the opportunity to interact with each other and to take part in roundtable discussions addressing legal, accounting and regulatory issues. Continental breakfast, lunch and an afternoon break are included in the registration fee. Registration and programming information are located atwww.craftbeverage.org/workshops. Get answers to all of your questions – in one room, in one day! The Craft Beverage Education Association (CBEA) is a non-profit organization dedicated to helping its members from the wine, beer, spirits, cider and mead industries and their “in-planning” counterparts navigate the business of craft and artisanal beverage production. The organization believes this “horizontal” model of learning — spanning all craft beverage segments — leads to enhanced discussion and superior execution of business plans. Michigan Craft Distillers Association and Michigan Cider Association, among others. If you are a craft distiller, supplier, educational institution, retail outlet, or event interested in supporting Michigan’s spirits industry, consider joining our organization. For questions, email our executive director, Dianna Stampfler, at Taste@PromoteMichigan.com. Sip local! 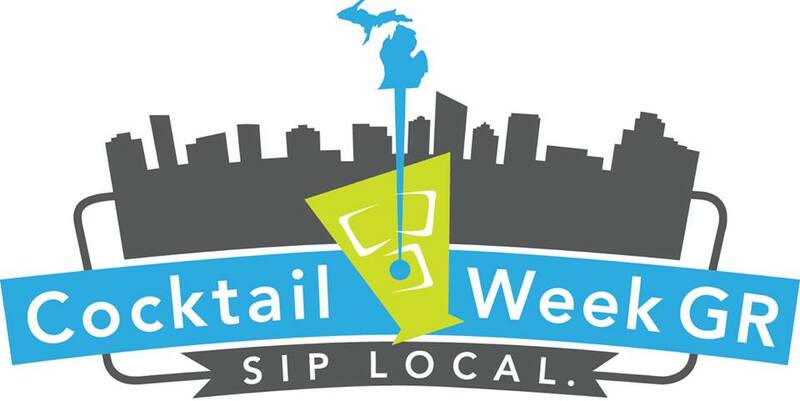 Join the fun as Michigan’s creative beverage capital celebrates the art of the craft cocktail. For complete details, click here. Distilled spirits in Michigan date back to the earliest explorers who traversed the vast open lands in search of new frontiers in the years before statehood in 1837. Whiskey was a commodity sold and traded to Native Americans. By the mid-1800s, the first distilleries were established to craft spirits here in the Great Lakes State. In 1873, a young German immigrant by the name of William Peter Drueke arrived in Grand Rapids and began building a future for himself, quickly becoming a leader in purveying good whiskey. His company would last until 1918 when Michigan became the first Midwest state to vote in statewide Prohibition—two years before it became a national law. 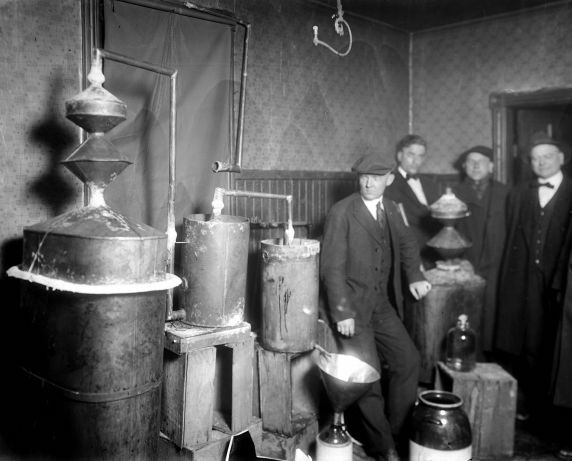 Even during those 15 Prohibition years in Michigan, the bootlegging industry was alive and well with rum runners transporting liquor between Canada and Detroit, and a thriving gangers industry in Chicago just a short drive into Southwest Michigan. Ironically, it was during the mid-20thCentury that Michigan’s spirit industry all but dried up, in the wake of Prohibition. It’s only been in recent years that the industry has come back to life, with vim and vigor. The first experiment in the craft cocktail culture in Grand Rapids was The Viceroy, which was opened in 2010 by BarFly Ventures (owners of Stella’s, Grand Rapids Brewing and HopCat). “Unfortunately, a little before its time,” says Garry Boyd, Ringleader and VP Food, Beverage & Cultural Innovation for BarFly Ventures. The Viceroy lasted just two years before the space was merged into the Stella’s Lounge, another BarFly property. Since 2012, Grand Rapids has been recognized as Beer City USA. It’s also regarded as one of the state’s top foodie destinations. Now, Michigan’s second-largest city is shaking things up on the cocktail side of things. Building on a growing interest in craft and locally-sourced ingredients, the GR Cocktail Guild was formed in January, 2015. “The more I traveled and met great people through the United States Bartenders Guild, the more I recognized how little foundation the cocktail scene in Grand Rapids had,” says Torrence O’Haire, USBG member, founder of the Grand Rapids Cocktail Guild and Private Events & Culinary Coordinator for the Downtown Market Grand Rapids. Led by a group of spirits professionals and cocktail experts from every side of the industry—from restauranteurs and bartenders, to distillers and distributors—the GR Cocktail Guild is focused on education and community engagement around the art and practice of a well-made cocktail. It is also an official chapter of the United States Bartending Guild—a local collegiate of experienced professionals working to develop, enrich and share the history, art, culture and enjoyment of the distilled spirit. 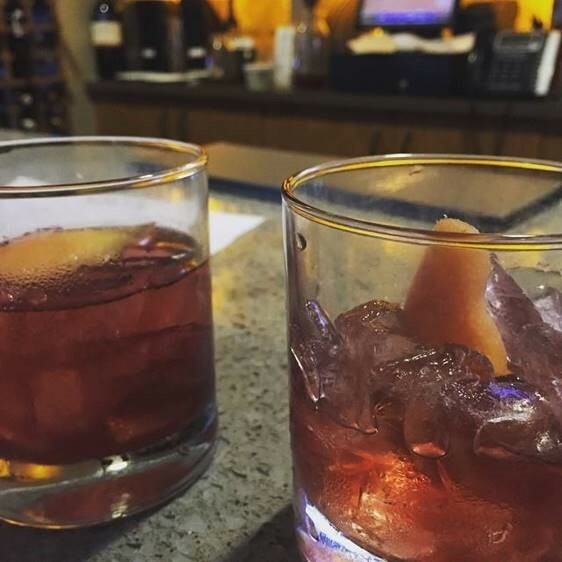 “I am finding Grand Rapids is poised to be the next Midwestern cocktail destination. It is really exciting for me to be able to look down the road a few years and anticipate how the cocktail scene here will develop,” says Adam Dickerson, Midwest Spirits Ambassador for New Holland Brewing Company & Artisan Spirits and board member for the Grand Rapids Cocktail Guild. The GR Cocktail Guild holds events, hosts classes, supports local bars and restaurants, creates recipes, shares advice and works at a grassroots level to get people excited about galvanizing and expanding a legitimate cocktail scene in Grand Rapids. One of the group’s signature events, The Iron Bartender Competition—first held in May, 2015—pits three incredibly talented spirit professionals against each other in a mixological battle-royale, with twists, turns, local ingredients and audience interaction. Upcoming competitions are scheduled for September 16, October 14 and culminating November 18 with the Ultimate Iron Bartender Championship Finals. Spectators can learn how these cocktail-professionals devise new drinks utilizing culinary conceptualization in a great new way and watch the creative process in action, as each competitor has only 15 minutes to prepare two flawless libations to be held at the mercy of the panel of judges (including fellow cocktail professionals, local celebrities and media). From “Beer City” to “Foodie Town” to “Cocktail City,” Grand Rapids is serving up a well-rounded epicurean way of life that appeases both novice and expert palates alike. This exhibit explores America’s most colorful and complex constitutional hiccup, spanning from the inception of the temperance movement, through the Roaring ’20s, to the unprecedented repeal of the constitutional amendment. The world of flappers, bootleggers, temperance lobbyists, and organized crime legends comes to life in the American Spirits exhibition. This extensive collection showcases over 100 rare artifacts, include temperance propaganda, flapper dresses, Carry Nation’s hatchet used during her barroom-smashing raids and authentic items used for making moonshine and other illegal potent liquors. The exhibit also includes 11 artifacts on loan from the Collection of the Grand Rapids Public Museum. Interactive elements and immersive environments bring to life the sights, sounds and experiences of the time period. Visitors have the chance to take a quiz to find out if they are a “wet” or a “dry,” learn the Charleston in a re-created speakeasy and play the role of a federal Prohibition agent chasing rumrunners in a custom-built video game. At the en of the exhibition visitors will explore the legacy of Prohibition in today’s regulatory landscape. Displays show why and how laws differ from state to state, and how the idea of drinking responsibly evolved. Bringing attention to the wealth of spirited bartenders and award-winning distilleries in Michigan, this inaugural 12-day celebration is presented by Experience Grand Rapids (creators of GR Restaurant Week and Cold Brews-Hot Eats). Participating restaurants feature locally- distilled spirits in their “Cocktail of the Week” which is paired with a special appetizer or small plate. Special events, including intimate cocktail dinners, are also planned. The complete schedule of events, as well as restaurant cocktail and small plate menus, is posted on the Cocktail Week website, above. Michigan craft spirits have been part of the festival since it was first held in 2008, but in recent years—with a growing interest in the art and science of cocktails—the focus has been amplified. Distilleries are now featured alongside international wines, beers and ciders in this event which draws 18,000 people annually. In addition to sampling, a variety of free workshops and seminars are hosted, led by industry professionals and food and beverage experts. This year, the 8th annual event will be bigger and better than ever before—with an expanded footprint into the main exhibition hall. The Michigan Craft Distillers Association was formed in 2014 to organize the growing number of spirit producers in the state and to serve as a united voice on legislative, promotional and business levels. Today, Michigan distilleries are actively producing award-winning vodka, rum, gin, whiskey and other unique spirits. Currently, Michigan ranks 3rd nationally for the number of craft distilleries. With nearly 40 statewide, the potential impact of this rapidly-growing industry could contribute upwards of $400 million to the state’s economy. The craft spirits industry supports countless other industries in Michigan as well. Many distilleries utilize locally-grown grains and fruits for their products, making them an important partner in the $102 billion agricultural industry. Public tasting rooms operating around the state make distilleries a part of the $22 billion Pure Michigan tourism industry – offering a quality, visitor experience while also providing a growing number of jobs. Dianna Stampfler is president of Promote Michigan and executive director of the newly formed Michigan Craft Distillers Association. Place the absinthe and bitters in a chilled coupe. Combine the whiskey and wine in an ice-filled mixing glass and stir very well for 30 seconds. Strain into prepared glass. Top with Vernors and twist lemon peel over surface of drink. Garnish with twisted peel. Bruise fresh thyme sprig and place in an ice-filled collins glass. Combine rum, lime, and honey in an ice-filled cocktail shaker. Shake well and strain into prepared glass. 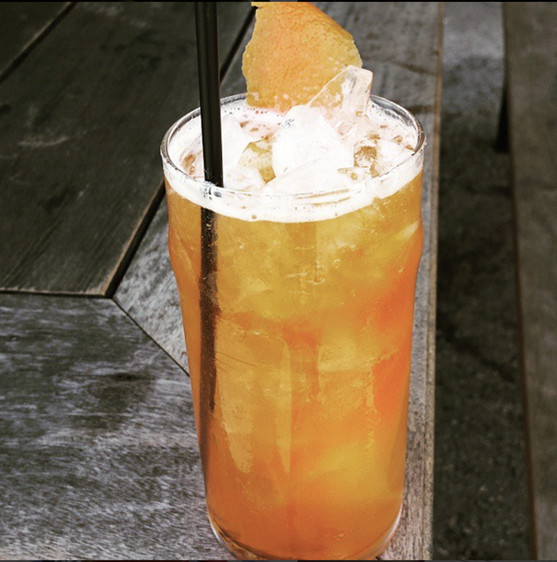 Top with bitters and hard cider, and swizzle gently to finish. Garnish with lime wheel and apple slice. Reprinted from the Fall 2015 issue of Artisan Spirits magazine. Michigan’s first distilleries opened in the late 1800s, surviving the Prohibition years before essentially dissolving during the mid 20th Century. It’s only been in recent years that the industry has come back to life, with vim and vigor! Today, Michigan distilleries are actively producing award-winning brandy, vodka, rum, gin, whiskey and other unique spirits. You’re invited to sample them yourself, by visiting one of the tasting rooms identified in this directory. And, while you’re out and about traveling the Great Lakes State, be sure to request these locally-crafted spirits at restaurants, bars and retail outlets. It’s through your continued support that these producers are able to follow their passion in creating the finest distilled spirits for you to enjoy! The official trade association for statewide distilleries.